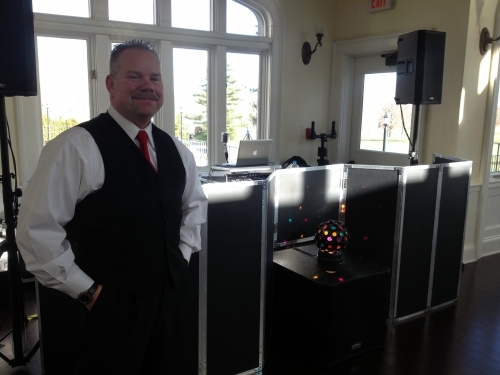 We are a full service mobile DJ company serving Westchester, Putnam and Fairfield Counties in the Tri-State area. 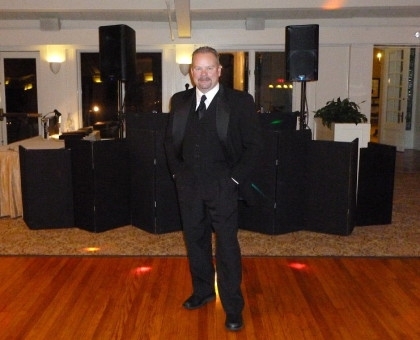 Operating out of Brewster, New York, we put 35 years of DJ experience behind every event. At Mobile Music, our goal is simple: Combine your vision of an event with our musical ability and make an unforgettable party! Mobile Music has a massive collection of music from the 1950’s through the 1980’s plus all the current top 40 dance music. 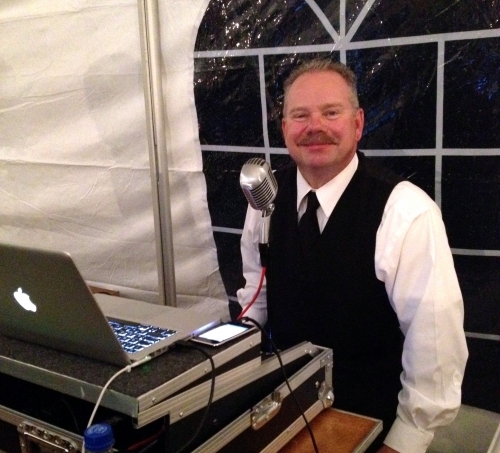 We play music that you know, and will gladly customize our playlist for your specific event. We know that if you look good, then we look good. Our indoor DJ setup is a “Portable DJ Booth” concept, that is both clean and impressive in appearance. Our computer-based sound systems are state of the art, and tuned so they are clear, balanced and bright. 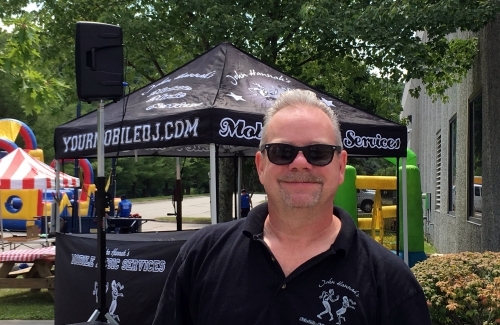 If your party is an outdoor event, Mobile Music has the right equipment to play your car show, street fair, 5K or charity event, and the right music to fill any event with energy and fun. Preparation, commitment to customer satisfaction and musical knowledge insure that our customers are happy, your guests have a great experience and I feel great about being your DJ! 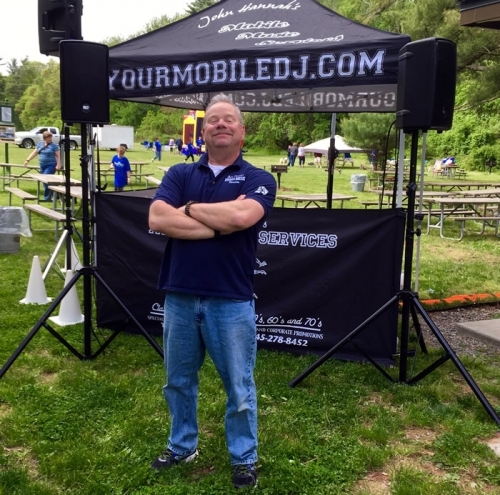 Call me on the DJ line at 845-278-8452 or e-mail me at info@yourmobiledj.com and let’s talk about how we can make your event a fun filled success! I’ve been DJ’ing since 1981 – starting as a DJ at a roller skating rink in Westchester County. This led to a decade-long career as a nightclub DJ, across Westchester, Rockland, and Western Connecticut. This naturally led to a mobile-DJ setup, and playing music for parties, weddings and other events. As I’ve gotten older, I’ve found that more and more people want to hear classic music from when they were young.Music that they know the words to and feel comfortable dancing to.In the spirit of doing what I do best, I’ve focused on playing classics, oldies, reunions and outdoor events. My music will serve as the foundation for your party and the good time you’re looking for. You’ll know the words to every song I play, and be singing along to them by the end of the night. Please feel free to give me a call to discuss your event, and how I can make it a fun and memorable occasion. When you talk to me, you’ll be talking the actual person who would work your event. I am THE DJ for my company, and don’t subcontract to other entertainers.